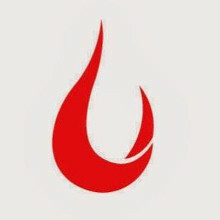 The past week was very eventful for us at Founding Fuel. 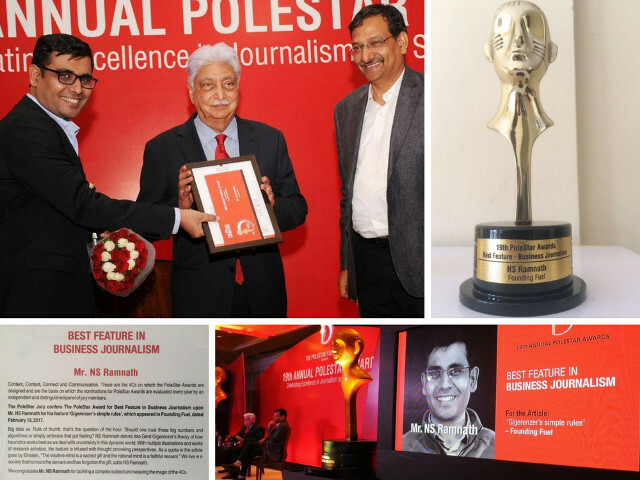 Our Senior Writer NS Ramnath won the prestigious Polestar Award for the Best Feature in Business for his article, Gigerenzer’s simple rules. 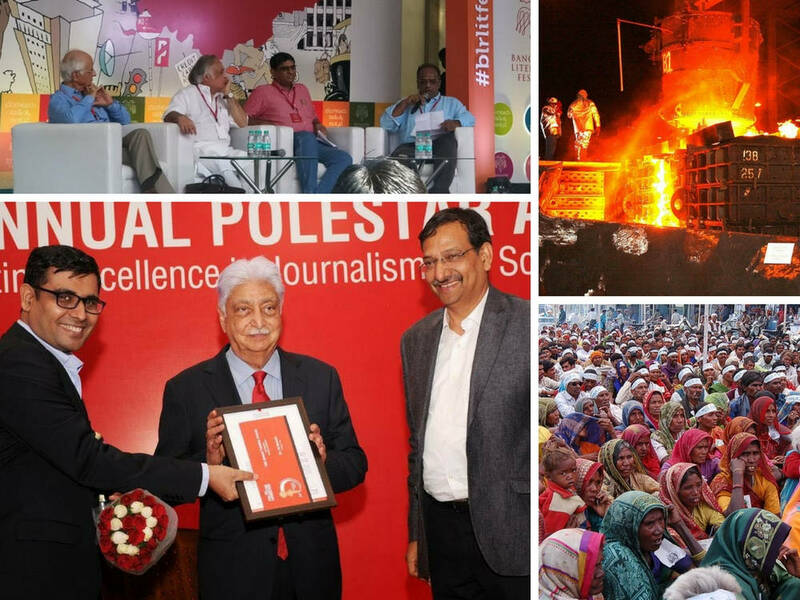 The award was presented in Chennai by Azim Premji. For this article, Ram, as we call him, was on long phone calls with Gerd Gigerenzer’s colleagues and researchers across the world. He pieced together what was mainly an academic work into a readable and comprehensive piece on why simple rules of thumb often outperform complex models. With this accomplishment, Ram joins a select club of impactful business writers in the country. By the way, Indrajit Gupta and Charles Assisi, our co-founders, have won this award earlier in their careers too! We at Founding Fuel, are immensely proud of Ram’s accomplishment. Please join me in congratulating him. 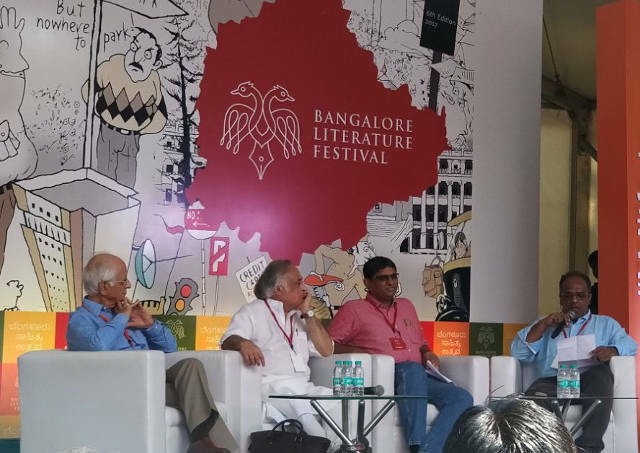 The sixth edition of the Bangalore Literature Festival was held this past weekend. Charles moderated a session on Aadhaar with an elite panel including Jairam Ramesh, Arun Maira and Sanjay Jain, to debate the biometric identity programme. The panellists brought out the strengths and weaknesses of the programme and its implementation, and presented some very interesting analogies. 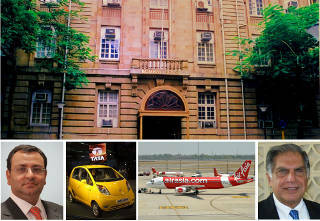 Charles compared Aadhaar to the building of the automobile by Ford with support infrastructure like roads, vehicle safety and other conveniences coming in later. In a show-of-hands poll of the audience present, a majority of accepted the need for Aadhaar but believed that it was not being implemented in the right way. We will upload a video of this conversation when it becomes available in a couple of weeks. 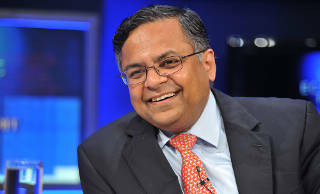 It’s been a little more than six months since Tata Sons appointed N Chandrasekaran as its chairman. 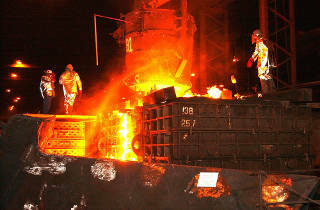 In one of his first moves, he announced a partnership between Tata Steel and Thyssenkrupp in Europe. This was much anticipated, but there are many hurdles along the way. Analysing the situation from many angles, Indrajit has identified some of the important challenges and possible ways for Tata Steel to overcome them. 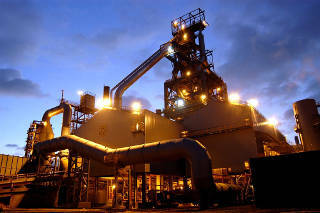 This well-researched article on the road ahead for Tata Steel in Europe is an interesting read. 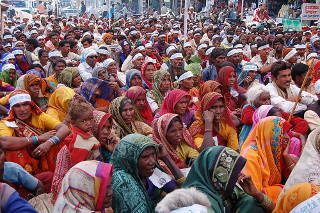 Rooting out corruption is a clichéd election slogan for political parties in India and indeed most democratic countries. But, an astute political leader knows better and keeps this promise to the minimal. He knows that it’s almost impossible to get rid of corruption and an exclusive focus on it can ruin their narrative for the next election. So, what other narrative can they use to sway the ballot in their favour? It all comes down to how they view the voting public. Charles explores this idea in great detail in his essay, Into the mind of the Indian politician. What’s behind the accelerating growth of the big tech firms? Google, Microsoft and Amazon, have produced a very healthy quarterly financial result. They are under increasing scrutiny and pressure by governments. But customers are just lapping up what they have to offer. Here are two pieces that cover this in good detail. Digital media business models are extremely difficult to crack. Digital mediators like Google, Facebook and to a lesser extent, Twitter are gatekeepers for content discovery and relevance. Programmatic advertising revenues are a pittance. High-quality journalism requires a sizable cost structure. Revenue has to cover for costs. Paid subscription models are very hard, but not impossible. Here is how De Correspondent of the Netherlands has built a successful subscription model with a model code of conduct to protect its readers. India is important for Amazon. Here is the proof—the number of times India is mentioned in Amazon’s earnings call is about double that of China. Is this a good enough metric? Time will tell. 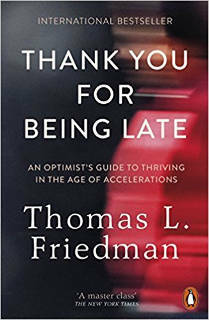 Thomas Friedman’s new book is out. 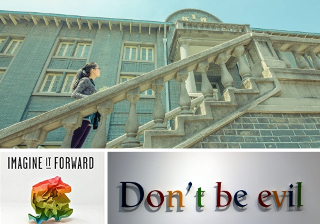 This is an update to his earlier work but brings in some of the tectonic shifts that happened in 2016 that are impacting our lives now and beyond. This book attempts to provide an optimistic playbook to thrive in the changing times.